I really needed some painty time last week so I took some spare cardstock and started playing. 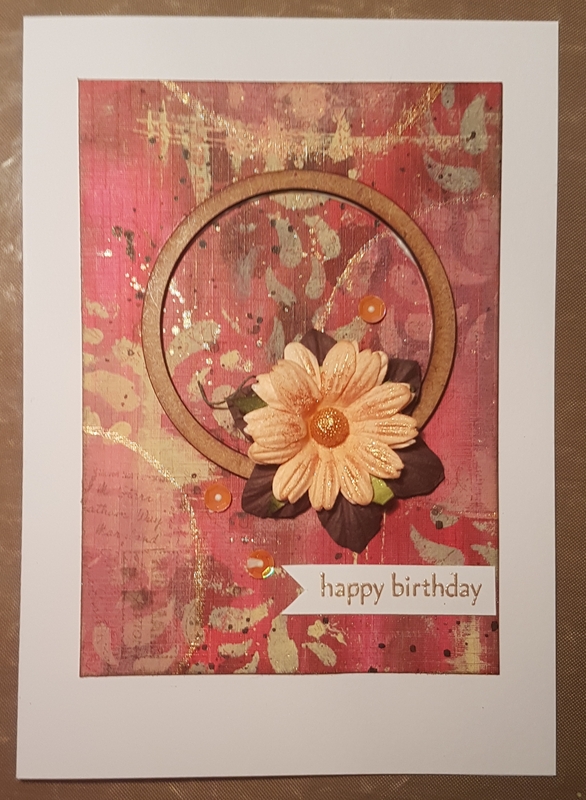 I mainly used decoarts fluid acrylic and Americana paints. I added the paint with sponges and a gelli plate and then a paint brush. I then used a stencil too. I love all of the different layers I created. 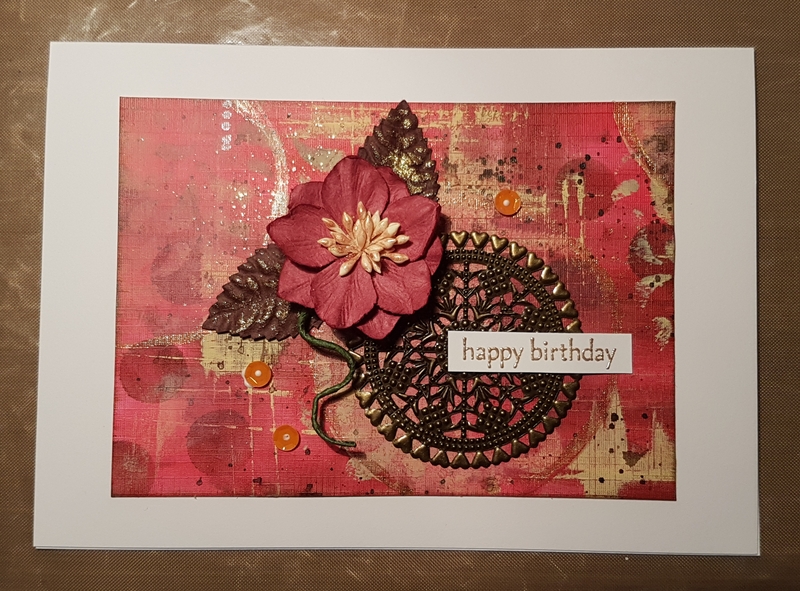 I also added some stamping with Postscript background stamp. 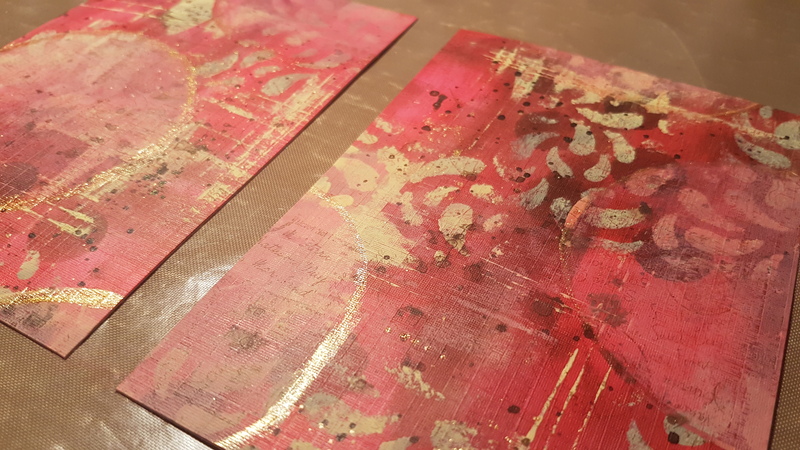 Next I added some sparkle using the Art Alchemy sparks paint. 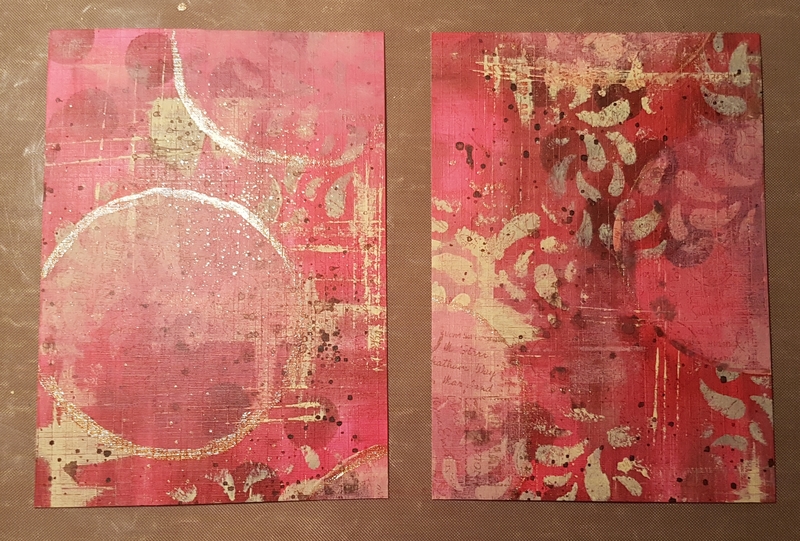 Then I cut it into two panels for card topper backgrounds. I then decided that I would raid the Artful Days goodie box and assemble some cards. The first one I used a metal embellishment and a paper flower and leaf. Then some stickers and a heat embossed stamped sentiment. The second one I added a wooden circle and some flowers and sequins. I also added the heat embossed sentiment too.